Autumn seems to be just around the corner here in Florida. I know the further you go north its already arrived. Personally, I love the heat but I am ready for some cool weather. That's why its soup time! 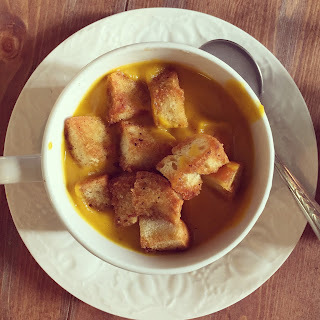 Kris loves to make different types of soups and one of her favorites is Butternut Squash. I am not sure of the origin of this recipe but it is delicious. 2 cloves garlic, peeled and minced. 1-2 carrots, peeled and sliced. 1 Granny Smith apple, cored and cubed. 1 sprig of fresh sage. pinch of cinnamon and nutmeg. 1/2 cup (unsweetened) coconut milk. 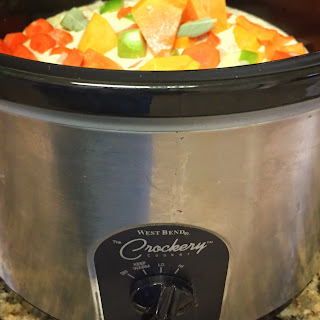 Add all ingredients, except the coconut milk, to a large slow cooker/crock pot. 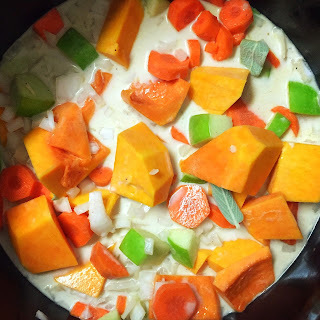 Cook for 6-8 on low or 3-4 hours on high until squash is completely tender and mashes easily with a fork. Stir in coconut milk. Transfer the soup into a high speed blender or Vitamix and puree until smooth, (or mix directly in the pot with an immersion blender). BE CAREFUL WHEN WORKING WITH HOT LIQUIDS. Stir together to coat evenly. Three 2" to 2 1/2" diameter beets. 2 tbs EVO (extra virgin olive oil). 2 tbs plus 2 tsp balsamic vinegar. 1- 1/2 piece fresh ginger, peeled and minced (or you can use powdered). In a small saucepan boil the beets in water over high heat for 30-40 minutes. Drain the water and rinse the beets in cold water. Rub the outer layer off the beets. Don't forget they will stain everything! Cut into 1 inch chunks and transfer to food processor. Add all other ingredients and process until smooth, 2-3 minutes. Transfer to a small bowl, cover and refrigerate. More soup recipes to come. Give me a cup of coffee!